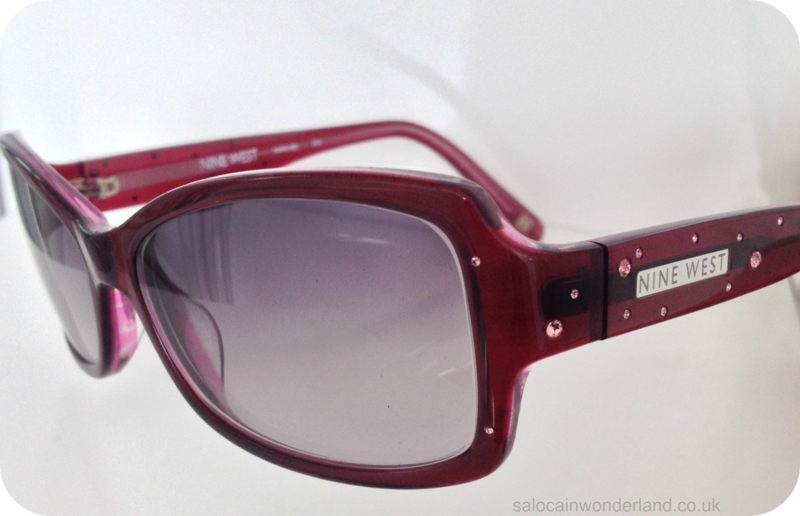 Saloca in Wonderland: Boots Opticians & My New Glasses! Boots Opticians & My New Glasses! I'm still pretty new to the whole wearing glasses thing. I started wearing them around 2 years ago when I accidentally stuck my hand out to stop a van thinking it was my bus coming up the road. I'm short sighted which means I have issues with seeing things from far away. Well, when I say far away, I can't read the tv-guide on the television if I'm sat on the couch, so make of that what you will! Insert Boots Opticians. I was due for an eye test and Mr.Man had such an amazing experience with them I went ahead and booked myself in for an eye test. Did you know you're suppose to get your eyes tested every 2 years? I was a little over the 2 year mark when I booked in. An eye test with Boots costs £25. Last time I had my eyes tested was in the Asda Opticians. They made me look into a contraption at a picture of a house, then they put these Harry Potter style glasses on my head and some guy got all up in my personal space doing what can only be described as intergalactic dance moves. Nobody had fun that day. Boots was a very different experience. They started by testing my peripheral vision. For this, I had to stick my head into a machine and count dots as they flashed up on the screen. I then moved onto another machine where I again, looked at a picture of a house until it came into focus. My head was then stuck inside this very daunting looking tent where bright UFO style flashes not only blinded me, but took fancy pants pictures of the back of my eye balls. They then tested my current glasses to find out what my current prescription was, then I went into a room with a more specialized assistant. We went right through my eye-boggling history, family history, the issues I've been having and it came to light that my sight had altered somewhat dramatically since my last eye test. Explains why I was stopping the wrong buses. She explained that with short-sightedness, your vision tends to plateau in your early to mid 20s...not generally get worse, like mine has done. There are different levels and in two years, most peole go up one, at most 2 levels. I had gone up 4 levels. She said it was nothing to worry about, unusual yes, but my eyes are perfectly healthy. We looked at the photographs of the back of my eyes and she explained to me that everything was fine, no bursting veins or signs of anything nasty. Everything was a-ok, I just needed a much stronger prescription! I expected to be fitted with the Harry Potter frames next and have lens after lens switched back and forth until I could see the ridiculously tiny letters on the wall. No. No frames. She lowered this contraption down in-front of my face and started pressing buttons on a panel in front of her. The lenses where inside the contraption and everything was remotely controlled by her panel of buttons and nozzles. Talk about modern technology! Nobody was busting funky moves up in my space this time around! After much 'better or worse', 'red or green', I could finally see the teeny tiny letters clearer than ever before! It was like somebody had switched on the high definition reality vision! I had a chat with one of the sales girls, my new prescription in hand, and we talked through my options, from Boots own to designer frames, special coatings and special offers. I had a mooch and tried on a few but knew I needed a second opinion so decided to come back that weekend with Mr.Man in tow. In the end, I picked out two pairs of Boots own brand glasses and a pair of Nine West sunglasses. I've been after a pair of prescription sunglasses for as long as I've needed to wear glasses and had a half price voucher from my Boots card in my purse just waiting to be spent! I had a quick consultation, some measurements of my head were taken, and I was told to come back in a week to pick everything up! These are the ones I picked. 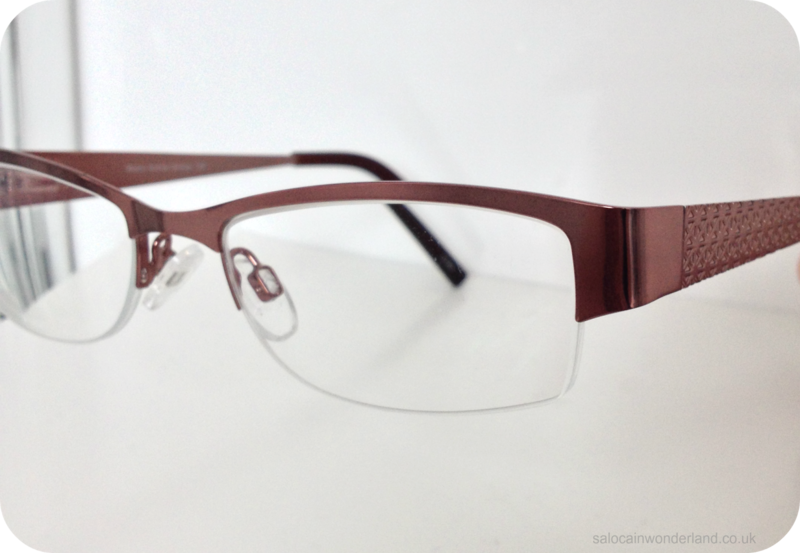 I wanted a light, 3/4 frame, much like my previous pair but in a more neutral colour. The arms are nowhere near as wide as my last ones so I can sneakily look out of the corner of my eyes and actually see now without having to do some awkward head movement. They're so light to wear I barely notice them on my face. The lenses are much wider too so I've got a larger, clearer field of vision! These will likely become my 'going out' glasses. My second pair, picked out by Mr.Man are completely different! Full, black rimmed frame, square and a little wider than I'm used to, don't they just look smarter, hehe! I was a little skeptical at first, I've never been a full frame kind of girl. The more pairs I tired on, the more I kept coming back to these. They really grew on me so they became my second pair. They're a solid frame, perfect for a bit of a clutz like me. They're solid and much heavier on my face. They're tighter too so don't move around at all on my face. Perfect for work! Now these are my favourite! I've been after prescription sunglasses for so long! Being able to actually see where I'm going on holiday is going to be a pretty big advantage! Mr.Man picked these ones out and I instantly fell in love with them. They're so comfortable and well fitted, I could easily wear these on a roller-coaster and they wouldn't budge an inch! I love how they're not too big on my face, my face is pretty small! I can't wait to try these babies out if we ever get any real sunshine here in the UK! My glasses were ready and waiting for me after a week. I tried on every pair and they made some adjustments here and there to tighten them up and bend the bars a little more so they fitted snugly behind my ears. Walking out of Boots with my new glasses on was amazing! I couldn't believe how much better I could see now! I knew my eyes had gotten worse but I didn't know just how much worse until I put my new glasses on! 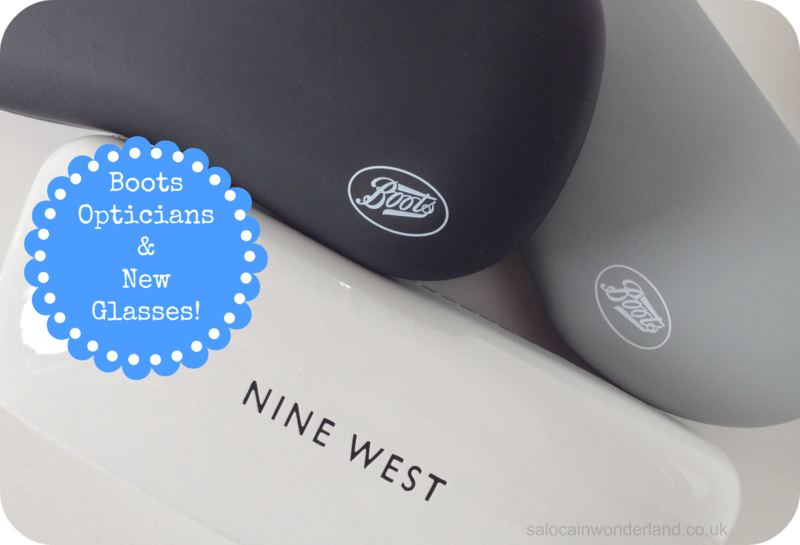 Have you been to Boots Opticians? What are you're thoughts? Let me know in the comments below! Sounds like a much better experience. I loled at you trying to get a truck to be a bus. 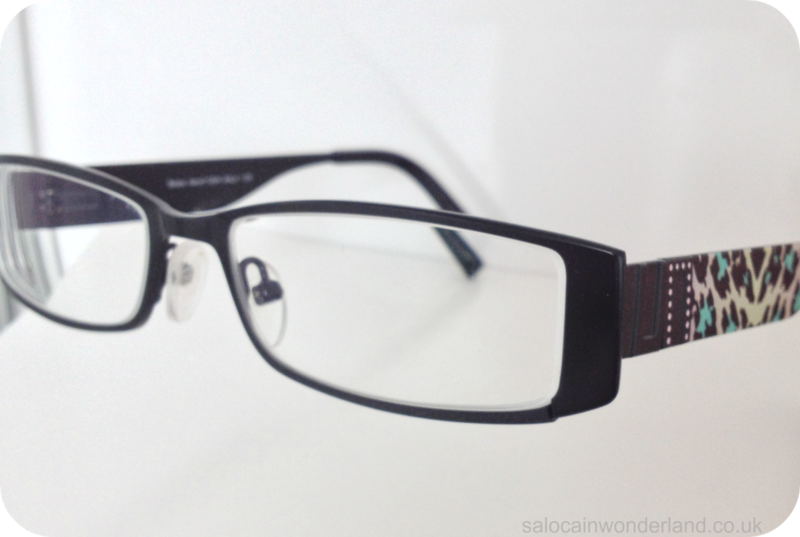 Did I ever tell you about the time I tried to fake an eye test because I wanted glasses? At 8 years old, I didn't realise that they could look into your eye and SEE that something was wrong. Haha that's brilliant that you tried to fake needing glasses! Now you can just buy them in Primark! Oh how times have changed lol! All the frames are so cute! I always find myself struggling when it comes to that part...so many to choose from! You did good:) I love love the sunglasses. I've been debating prescription glasses but know I definietly should get them. I couldn't be without my glasses now, I'd be a danger to myself and the world around me haha! If it wasn't for Mr.Man I would have probably still been stood in Boots trying to pick some glasses! !